Upper Point Cook is the best positioned estate west of Melbourne, with everything you and your family need. Nestled in the established suburb of Point Cook, this master planned community offers the perfect place for families to grow in space and comfort. Upper Point Cook is ideal for people looking to upgrade their home, as well as first home buyers and young families looking to fulfil their new home dreams. Eventually, around 2,000 families will call Upper Point Cook home, along with 14 hectares of open space, parks and playgrounds, walking trails, cycling paths and a future neighbourhood park. • Timber looks laminate or tiles to house except bedrooms. • Mixer taps thru out the house. Please contact Jiggy@Kingsbridge on 0487 109 777 or Visit us at our beautiful displays in “The Grove” Estate, Tarneit. 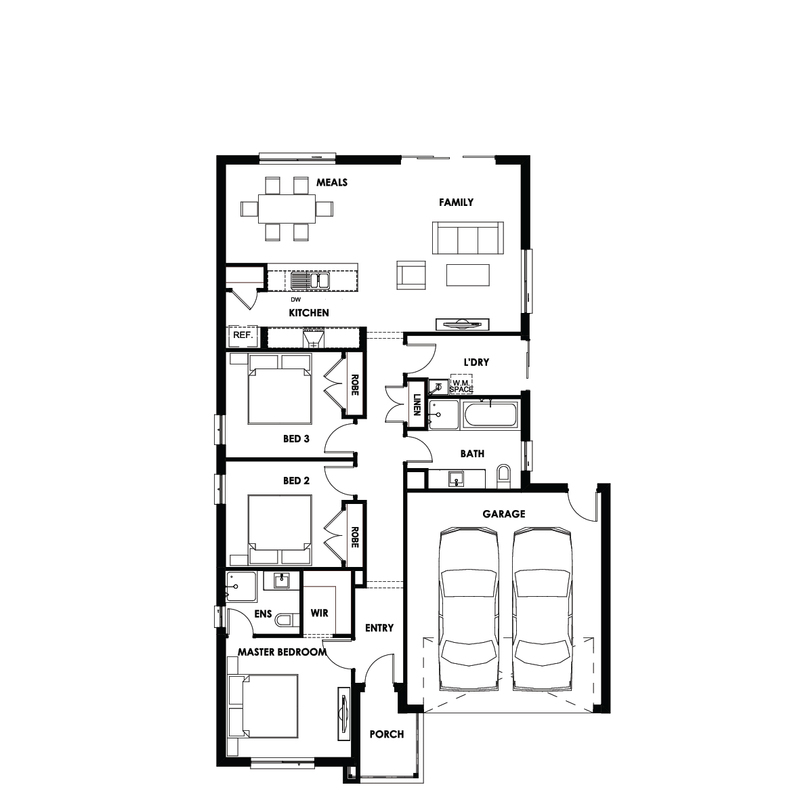 Please refer to the Sales Consultant for floorplans and further product details. Package price based on standard floorplan, builder’s nominated façade and builder’s preferred siting. All house and land packages are subject to developer’s final approval. $10,000 First Home Owner Grant has already been deducted from the price. Any non-standard requirements of the Developer and any other authority will be an additional cost to the Package Price. Land prices and availability are subject to change without notice. Package price listed includes site costs allowance of class M concrete waffle slab with up to 300mm of fall over the building area of a maximum of 450m2 and 6 metre setback. Package price does not include government charges (ie. stamp duty) and legal costs. Plans are exclusively owned by Kingsbridge Homes and shall not be copied, distributed or altered, without the written permission of Kingsbridge Homes. Kingsbridge Homes reserves the right to change package details, prices or substitute the make, model and/or type of any of the above products, specifications, inclusions or promotion without notice or obligation. Images are for illustrative purposes only and may not represent standard inclusions. Please refer to final contract documents and final working drawings for exact details. E&OE. Kingsbridge Homes. This plan and information is indicative only and may vary without notice. Furniture or vehicles are not included in the sale of the lot. The image depicted here is a completed ‘like design’, not the actual lot for sale. Façade finishes and colours may vary. Images are artist’s impressions only.